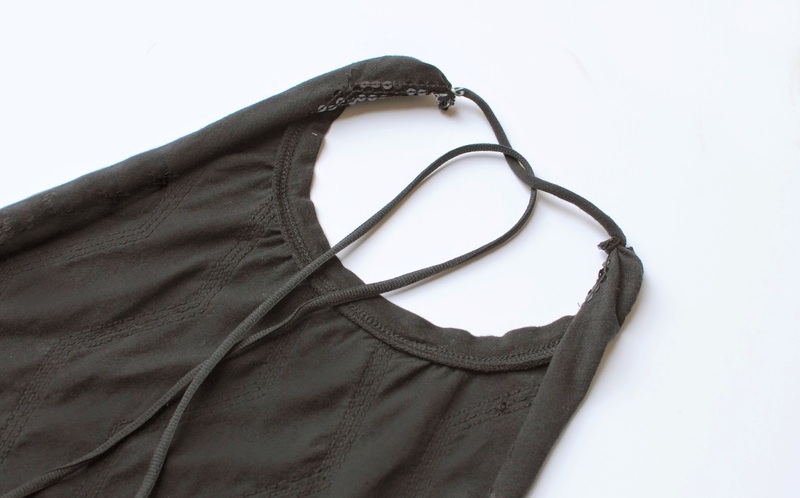 Cut the front like a tank by removing the sleeves and. The collar is optional…do not cut the back though. Create a scooped back by cutting as shown in the picture. I usually start by the arm seam. 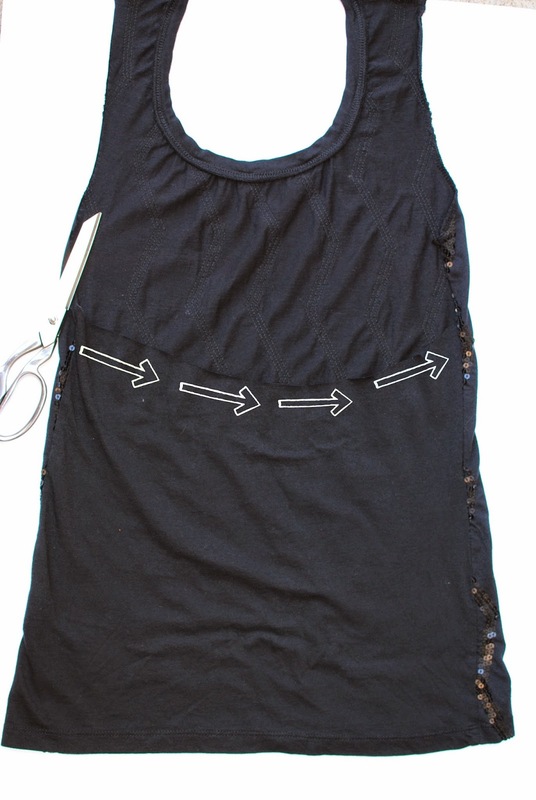 Create a halter by removing the middle from the scoop to the collar. 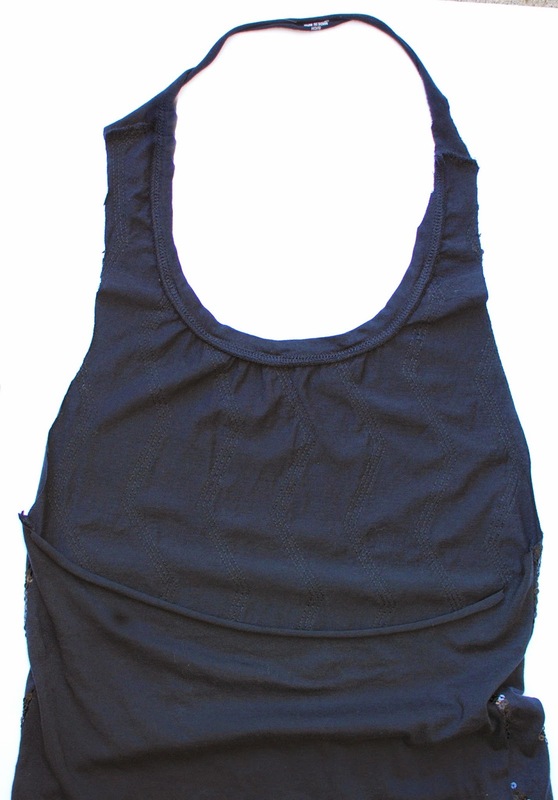 You can use the collar as the halter back. What I did was remove the collar because I wanted a thin strap as shown above. It may stretch a bit so you can always sew it smaller. 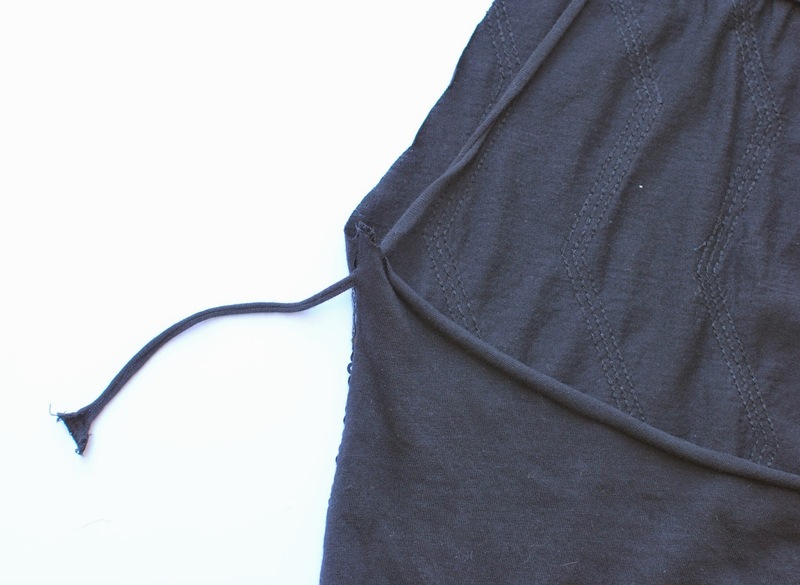 Cut very tiny holes along the side seams. I cut mine about 1/2inch below the scooped back. To add the tie on the back, use an additional string that is long enough to tie in a bow. Loop the strings in through the holes and tie in the middle. nice Victoria. Tag trashtocouture so I can see the outcome. Looking adorable such a pretty dress i would defiantly trying this one with Hat Embroidery. It will be great idea to check this out before writing an essay about yourself. It helped me a lot when I wanted to become a student.